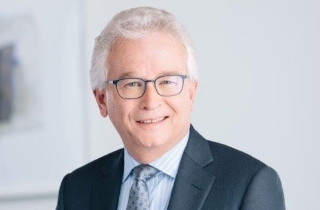 John A. Keith, a partner at Cox & Palmer in Halifax, is appointed a judge of the Supreme Court and a judge ex-officio of the Nova Scotia Court of Appeal. He replaces Justice Gregory M. Warner (Kentville), who elected to become a supernumerary judge effective Jan. 1, 2019. According to the government’s press release, Justice Keith was born in Montreal and raised in Berwick, in Nova Scotia’s Annapolis Valley. After graduating from Mount Allison University, he studied law at Queen’s University Faculty of Law where he received a law degree in 1991. He articled with WeirFoulds in Toronto and was called to the bar of Ontario in 1993. In 1999, Justice Keith returned to Nova Scotia and joined Cox & Palmer, where he practised civil litigation for 20 years. Justice Keith has extensive experience as a trial and appellate advocate, appearing at all levels of court in Nova Scotia and in the superior courts of many other provinces. Justice Keith was appointed Queen’s Counsel in 2014. He is a member of the national board of directors for The Advocates’ Society and was recently selected as a fellow of the Litigation Counsel of America. Justice Keith serves as a member of the Nova Scotia Supreme Court Liaison Committee, Nova Scotia’s Civil Procedure Rules Subcommittee and the Claims Review Committee for the Lawyer’s Insurance Association of Nova Scotia. He was also a member of the original Steering Committee that drafted Nova Scotia’s current Civil Procedure Rules.